PRINCETON, NJ – Forward Conner Bleackley has been selected from the Tulsa Oilers to represent the Mountain Division All-Stars at the 2018 CCM/ECHL All-Star Classic, the ECHL announced Thursday. The event will be hosted by the Indy Fuel on Monday, Jan. 15 at 1pm ET at the Indiana Farmers Coliseum and will air LIVE exclusively on NHL Network. Bleackley, 21, has 18 points (10g, 8a) in 22 games with the Oilers this season, and is tied for the ECHL lead with three short-handed goals. The High River, AB native is one of the few players who have been selected twice in the NHL Draft. He was drafted 23rd overall in the first round by the Colorado Avalanche in 2014, and chosen again in 2016 by the St. Louis Blues in the fifth round (144th overall). Bleackley was reassigned to the American Hockey League’s Chicago Wolves on Dec. 7, where he tallied one assist in seven games. This will be the first All-Star appearance for the second-year pro. For the first time in ECHL history, the All-Star Classic will feature not two, but four teams representing each of the League’s divisions. In a format similar to those adopted by the NHL and AHL All-Star Games, the four teams will compete in a 3-on-3 tournament in order to crown a winner. The 2018 CCM/ECHL All-Star Skills Competition will take place after the semifinal round, with the championship round immediately following. The rosters were determined in a vote of coaches, team captains, media relations directors, broadcasters and members of the media. Each of the ECHL teams is represented. More than 65 players from the ECHL All-Star Game have gone on to play in the National Hockey League, including 51 since 2002 when the lineups began having players who coaches felt were prospects to move up to a higher level. 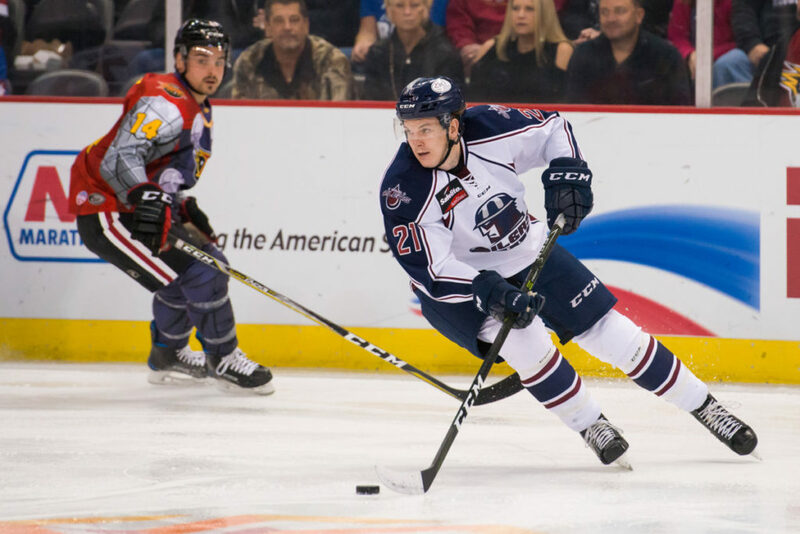 The Tulsa Oilers return home to the York Plumbing Ice at the BOK Center this weekend to host the Colorado Eagles at 7:05pm Saturday and 4:05pm Sunday. Tulsa will wear special jerseys Saturday night, sponsored by the National Wild Turkey Federation, which will be auctioned off following the game. Sunday will feature a postgame skate with the players immediately following the game. Tickets are available by calling 918-632-7825 or visiting www.tulsaoilers.com. Purchase tickets as low as 40% off for groups of 10 people or more. Ask us about our New Year 2018 specials on party areas such as a luxury suite, ice boxes or party decks. Follow the Tulsa Oilers on Twitter and Instagram , or “Like” us on Facebook, for more information about tickets, promotions and upcoming games.